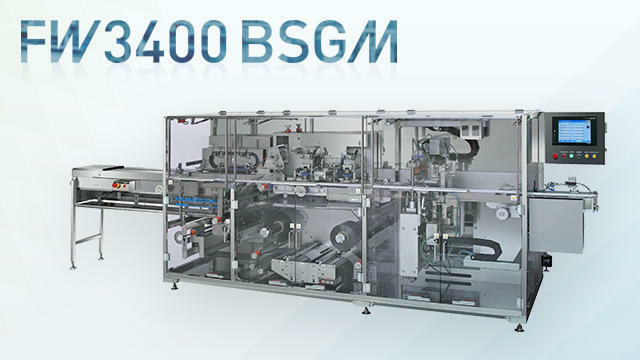 FW3400BSGM wrapping the pharmaceuticals | Horizontal Pillow Packaging Machines | FUJI MACHINERY CO.,LTD. A packaging machine for GMP that is specialized to wrapping pharmaceutical products. Constructed from blocked packaging machine zones.